Delhi’s pollution at Lodhi area was recorded as poor category on Wednesday evening. The national capital has more worries to come in as farmers of Punjab have started burning stubble. According to Wednesday’s recording prominent pollutants PM 2.5 and PM 10 has been marked in the poor category. In Delhi PM 2.5 has considerably rose 11 times from September 22 to October 8. The national capital has more reasons to worry has farmers in Haryana and Punjab are all set to burn their stubble. 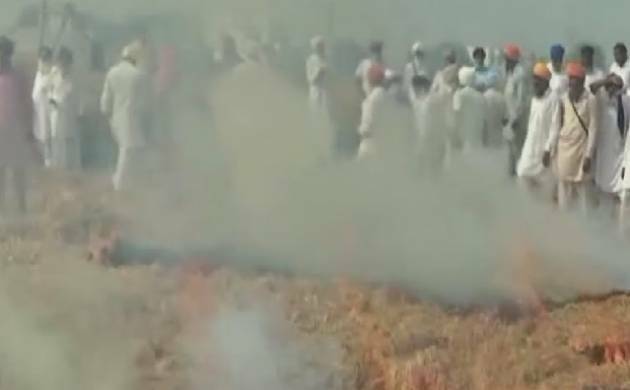 In Punjab’s Sangrur district, a large number of farmers have started burning their stubble to press in their demands. The farmers are demanding proper subsidy if the government wants them to stop burning the stubble. Though the National Green Tribunal (NGT) has come heavily on Haryana and Punjab government for failing to stop stubble burning, a very few initiatives have been taken by the state governments to prevent the burnings. Last year, Delhi’s air quality was in “severe”category during the festive reason. According to System of Air Quality and Weather Forecasting and Research, with an AQI of 443 on October 30 and shot up to 472 the very next day. The PM 2.5 levels had touched 302 micrograms per cubic metre on Diwali.